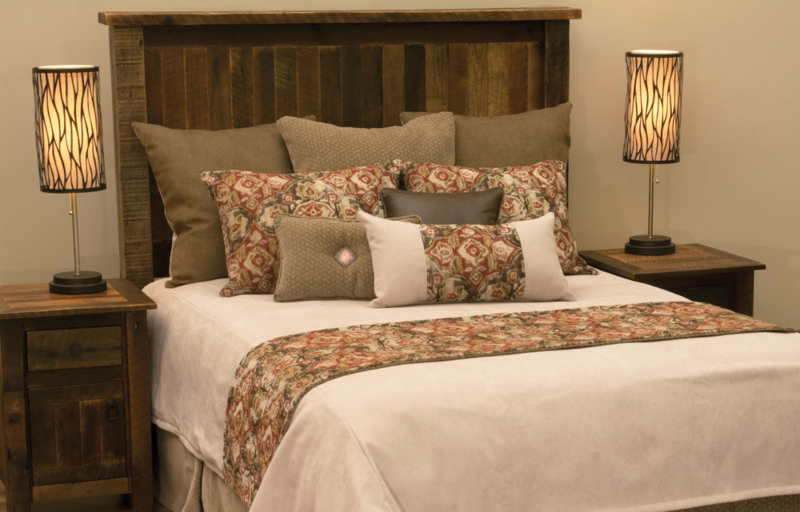 The Sedona coverlet ensembles features a calm and cool neutral palette completed with accents of rusty reds and earth tones. Both the bedcover and euros are reversible for a changing look form light to dark. We recommend to complete the set with our tufted Shitake pillow, and Caribou leather welted pillow. Coverlet and Euros are reversible from Caprice Hemp to Caprice Truffle.